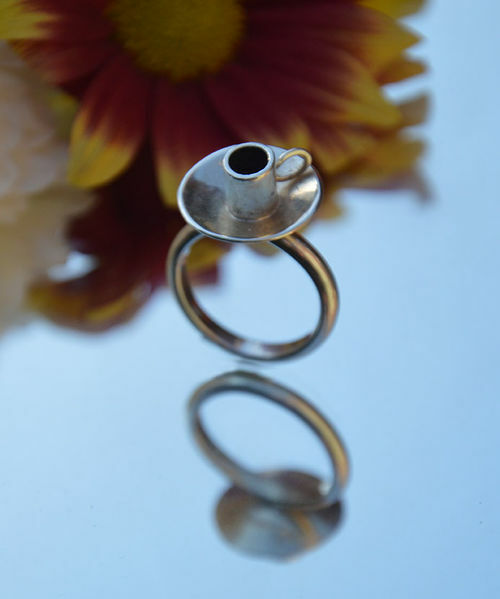 Sterling silver espresso coffee cup ring with oxidised centre so that it looks like it is full of coffee. All rings are a size P but can be changed. It is hallmarked at the London Assay Office with my VW mark and will come in a silver box lovingly wrapped with a purple ribbon.